A year ago, I had the difficult task of putting together a review on a disastrous season that saw us relegated to the County League. 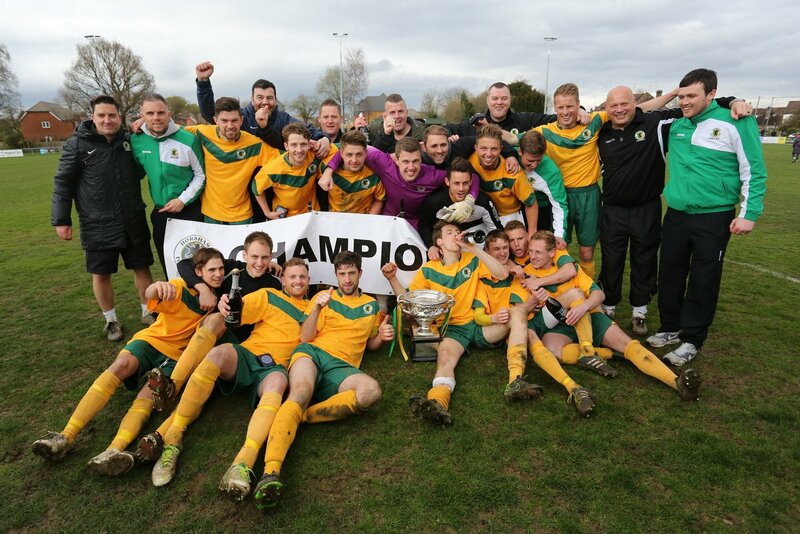 I won’t lie when I say it’s been a lot easier to write this year as here we are, twelve months later, with Horsham Football Club crowned Champions and back in the Ryman League. From a season of lows, to a season of highs. 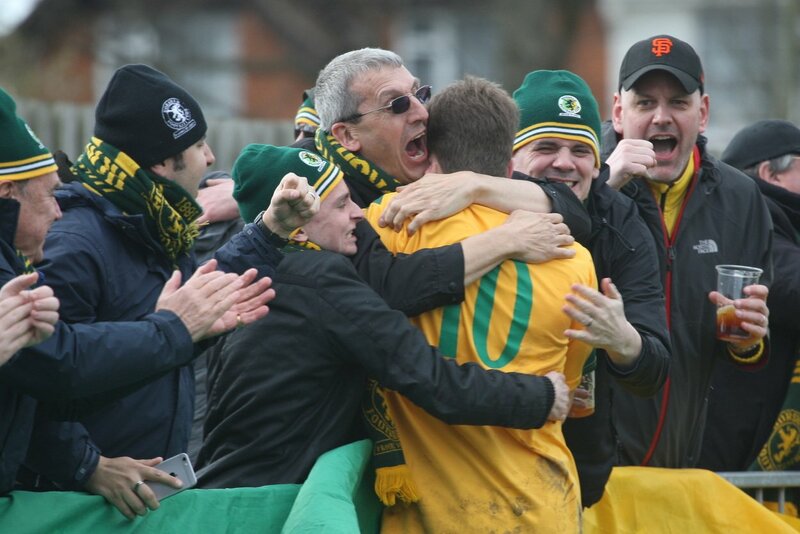 After ending a four decade long association with the Isthmian League, a wave of optimism embodied Horsham Football Club at the beginning of the 2015/16 season as supporters, background staff and officials turned disappointment into a new dawn and a new chapter for the club. For some, the prospect of playing County League football might have been unpalatable to begin with, yet the newly renamed Southern Combined Counties Football League Premier Division marked a fresh start for HFC to wipe the slate clean and rejuvenate the club. There is no doubt that this season has seen the club turn a corner and given a new lease of life to everyone connected to a club many still consider to be a giant of Sussex football and the superlatives kept coming as Dom Di Paola put together a squad that would contest the title from day one, ultimately winning the league with a total of 97 points while confirming our return to the Ryman League at the first time of asking. 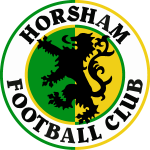 With Horsham, Di Paola has replicated the form and success he enjoyed at East Preston, and it was no surprise that many of the squad he built at the beginning of the season were former members of that Championship winning side of 2014. In came the likes of Kevin Keehan, Joe Shelley, Adam Hunt, and Alex Duncan, while Player of the Season from our ill-fated campaign last season Gareth Williams was retained to keep guard between the sticks. 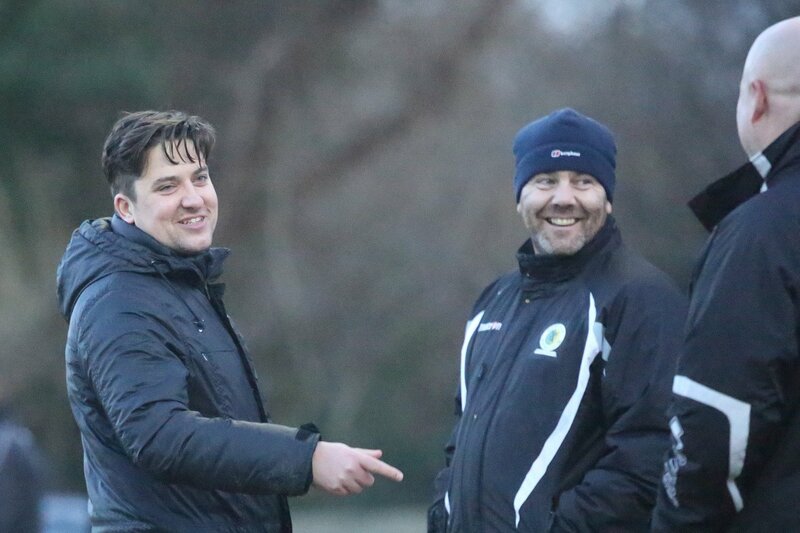 There was also a feel of familiarity within the ranks as former Horsham players Mark Knee, Evan Archibald and Charlie Farmer were also brought in. Our pre-season campaign started in earnest, with supporters mindful of the testing fixtures lined up as a barometer for what potentially lay ahead. With tough trips to Dorking Wanderers, Phoenix Sports, and a double header featuring Burgess Hill and Worthing all looking difficult. However, the Hornets completed their preparations without losing a single match while impressing supporters with their new found resolve against teams ‘bigger’ than ourselves – at least according to the football pyramid – as well as a new found creativity that promised goals aplenty over the ensuing months. The fixture computer sent us on our way to Hassocks for our opening game, a 1-1 draw in which Joe Shelley equalised for the visitors from the penalty spot. While the jury was still out on just how our season might pan out, the verdict would be delivered in the next few weeks as Di Paola’s side hit the ground running with subsequent wins in the league in August against Broadbridge Heath, Shoreham and Littlehampton in which they scored thirteen goals while shipping just one at the back. 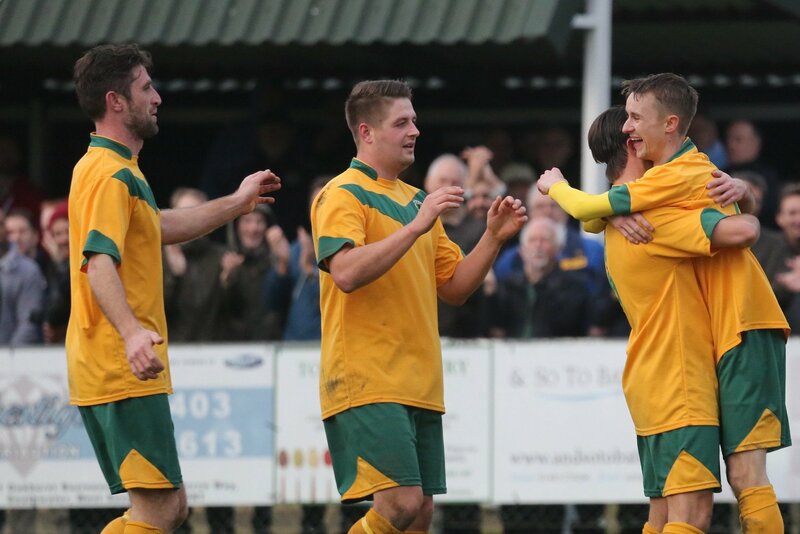 Horsham’s run in the FA Cup, however, would end before the month was out when, after a hard fought but narrow win against Lancing, they were handed a tough draw away to Deal Town. 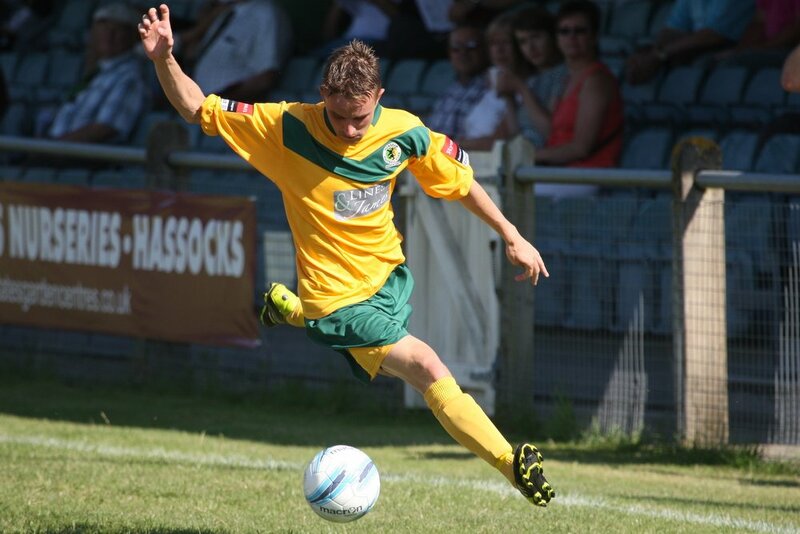 But while they did enough to earn a replay back at Gorings Mead, the Kent side inflicted a first defeat of the season for Horsham supporters to round off August. Elsewhere, off the pitch, a section of Horsham fans entered Lardy folklore as they arrived for our match away to Arundel on the ‘HMS Lard’ – having chartered a boat from Littlehampton up the River Arun to see their team play. The match itself saw Arundel almost threatened to sink holes in the Hornets’ ship as they raced into a 2-0 lead at half-time before Horsham bounced back to draw 2-2 and avoid a first league defeat of the season. It would prove to be the only slight blip in September as the side scored goals for fun, including a 7-0 thrashing of Wick & Barnham and double figures against St Francis Rangers – the first time since 2001 that a Horsham side had reached double figures in a competitive fixture. 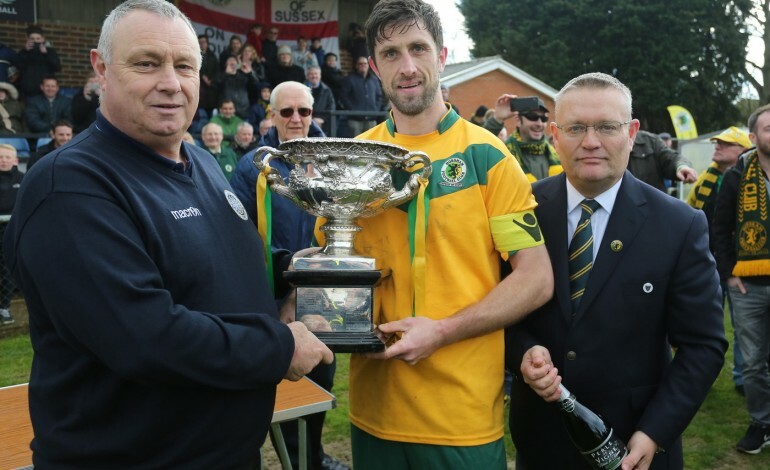 During October, The Hornets ensured their safe passage into the next rounds of the FA Vase as they dispatched a resolute Selsey 3-0 at their High Street Ground, while also overcoming Eastbourne Town in the Peter Bentley Cup, again away from home. Dom Di Paola’s side then went top after a fine 4-0 victory to nearby Loxwood at Gorings Mead, but it was short-lived as Horsham fell to a first league defeat away at Eastbourne Town, thus ending an twelve game unbeaten run. A shock defeat away at Haywards Heath, a full league below us, saw us unceremoniously dumped out of the RUR Cup after extra time but, while results continued to come with ease in the league, another cup shock would follow in the Vase as Steyning Town produced a backs-to-the-wall display to frustrate the Yellow and Greens before snatching a 1-0 win deep in extra time on Hallowe’en. There was better news in the Sussex Senior Cup in early November when former Hornets boss Simon Colbran brought his Peacehaven and Telscombe side to Gorings Mead but, with his side struggling at the foot of the Ryman League Division One South, underdogs Horsham claimed a higher league scalp as they knocked out The Magpies 3-1 to set up a difficult trip to Whitehawk. The league itself was proving to be a battle between Newhaven, Eastbourne Town, Lancing and ourselves, with neither side able to hold onto the top spot for long, but a trip to Newhaven saw The Hornets emerge with a hard-fought 3-1 win in wretched conditions, taking us to the top of the table before rain and waterlogged fixtures would mean a two week wait for a return to action. The Christmas fixtures culminated in a thrilling 4-1 win at ‘home’ to landlords Horsham YMCA – the first time the two sides had played in a league fixture despite being neighbours for decades – but another two week washout meant we had to wait until 9th January for the first game of 2016 and a league double over Littlehampton Town in an ill-tempered affair that saw both teams reduced to ten men. Unsurprisingly, National League South side Whitehawk comfortably put us out of the Sussex Senior Cup, scoring four times without reply at The Enclosed Ground to turn our focus on the league and League Cup, and we went on an eight game unbeaten run, dropping points just once at Loxwood in a 2-2 draw, after holding a 2-0 lead at half time. The run cemented our position at the top of the table as the title looked increasingly likely but, as the season entered March, all eyes were focused on a crunch game at Gorings Mead as second placed Eastbourne Town came to visit. With the two sides in formidable form, the title had become the proverbial two-horse-race. Horsham came into the game having opened up a five point gap, while the visitors had a game in hand on ourselves. Despite taking a 3-1 lead and seemingly in total control, midway through the second half, Horsham hit the self-destruct button as defensive errors presented our guests with a couple of gift goals that enabled them to turn the game around to lead 4-3 with three minutes remaining, only for the Hornets to equalise six minutes into injury time. The drama still wasn’t over though when, two minutes later, Town snatched the win to send the visitors wild and leave Horsham supporters crestfallen. It was only the second league defeat of the season but number three would follow four days later as local rivals Broadbridge Heath stunned us to win 1-0 at Broadbridge Heath Leisure Centre as we conceded top spot and began to console each other at having allowed the title to seemingly slip from our grasp. With Di Paola proving to be an oracle in his prediction that there would be further twists and turns in the closing weeks of the campaign, hope remained among the fans that Horsham would rediscover the form of the previous two months, and they set the ball rolling with the first of nine successive league victories with a fortuitous 2-0 win away at Chichester City. The prophesised twists came through Eastbourne Town unexpectedly faltering at the final hurdle, allowing Horsham to retake the leadership of the division, a feat they achieved thanks to an Easter Monday derby day thrashing of Horsham YMCA while Town were held 0-0 at Eastbourne United AFC. With six games remaining, a league and cup double was dashed when Newhaven gained revenge for their 1-0 league defeat three days earlier by knocking us out of the Peter Bentley Cup at the semi-final stage. A 3-0 win at Hailsham Town all but guaranteed the title would be Horsham’s, with Town needing to win their remaining matches and the Hornets to lose theirs, as well as requiring a huge swing in their favour to claw back Horsham’s vastly superior goal difference. But there were to be no slip-ups from Di Paola’s men as the league title was won in emphatic style with Hailsham simply unable to contain their rampant hosts who went goal-crazy once more, winning 11-1 to spark wild celebrations before lifting their first championship trophy for twenty years.